It's time to cut in half the €327 billion that Greece owes sovereign bond holders in an orderly fashion and delay interest payments on the remaining debt. That's the shock therapy Barron's is urging on the European Union, as more and more voices are coming to agree with Michael Darda, chief economist and chief market strategist of MKM Partners, Stamford, Connecticut, who says the policy of lending new money coupled with aggressive budgets cuts is failing in Europe. In a new report, "Why Bailouts and Austerity Are Failing in the Euro Zone," Darda points out that despite the policy changes urged on the the PIIGS -- Portugal, Ireland, Italy, Greece and Spain, now plus now Belgium -- the spreads of sovereign debt in peripheral Europe against the core nations of Germany and France is rising above the levels where it stood a year ago. The problem is particularly acute in Greece, which received a €110 billion bailout last year from the European Union and the International Monetary Fund. Greece is proposing a new round of austerity measures that will likely further weaken the economy. "Usually, Barron's staunchly advocates full repayment to bondholders," writes Vito J. Racanelli in the May 30 issue of Barron's. "But the choice for Greece's bondholders, as we see it, is to accept 50 cents on the euro now -- or 30 cents or worse down the road." Haris Pamboukis, Minister of State for Greece, told CNBC May 25: "Our aim is to take drastic measures," he said, to pull Greece out of its "depression." Greece needs to make the public sector more competitive. Government spending, he claimed, has already been reduced 5 percent, which has been very painful, but more must be done. Greece also needs new incentives to expand the private sector. "Our goal is to have an economy that produces more than it consumes," Pamboukis said. Exports have grown to represent 26 percent of growth. This export-led growth from the private sector is the way forward for Greece. Robert Stowe England's newest work -- Black Box Casino -- will be published this fall by Praeger Books. Advance copies for reviewers and selected media outlets will be sent out at the earliest possible date. The book is currently going through the copy-edit and production process. The new book, Mr. England's fifth, is a no-holds barred account of the financial crisis of 2007 and 2008 and explores and explains the causes of the crisis and describes the unfolding of the crisis in dramatic and compelling detail. The author sorts through a mountain of evidence, interviews and information and provides new information, sources, analysis and insight into the crisis in order to tell Americans what they most long to hear: what went wrong and why. The book is unsparing in its examination of the follies in Washington and on Wall Street that caused so much economic and financial pain for so many people and institutions around the globe. It takes a look at how the world of traditional banking has moved into shadow banking and, in the process, made the global financial system more vulnerable to shocks. 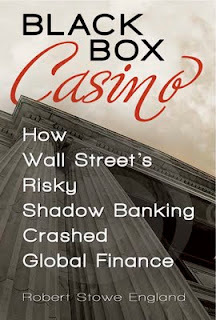 It describes how shadow banking also became a fertile ground for the creation of black boxes, which are financial institutions and vehicles where the activities are completely or nearly completely hidden from the public eye. The two biggest black boxes were Fannie Mae and Freddie Mac, where increasingly risky lending was occurring over the period from 1997 to 2007. The degree of risk accumulating in Fannie and Freddie was concealed from the public, and the markets were not aware that there was $4.6 trillion in risky mortgage loans outstanding in the financial system -- of which 39 percent or $1.8 trillion were either Fannie and Freddie mortgages or securities they purchased and held on their balance sheets. There were also black boxes hidden off the balance sheets of banks, such as Citigroup, where mortgage assets were placed and, thus, not seen to be a potential threat to the sponsoring bank. Collateralized debt obligations or CDOs made up of mostly subprime mortgage assets, both real and synthetic, were also another sphere where black boxes proliferated and generated demand for subprime mortgage credits, pushing more funding into the weakest part of the mortgage market. CDOs are securities or certificates issued against a pool of collateral of debt instruments, from corporate loans to asset-backed securities, including mortgage-backed securities. A flood of mortgage credit aimed at subprime borrowers fostered an environment where fraud could flourish and created mortgage bonds that became high stakes gambling chips in black box casinos sponsored by savvy hedge funds. A number of hedge funds found the CDOs extremely attractive vehicles for proprietary trading strategies based on pricing anomalies between the equity and lower-investment grade tranches or slices of the deals. The degree of risk was further enhanced because of the availability of credit default swap "insurance" to cover losses for those who either owned or bet on subprime mortgage-backed securities. The swaps magnified the losses to the system after the crash of mortgage bonds in 2007. 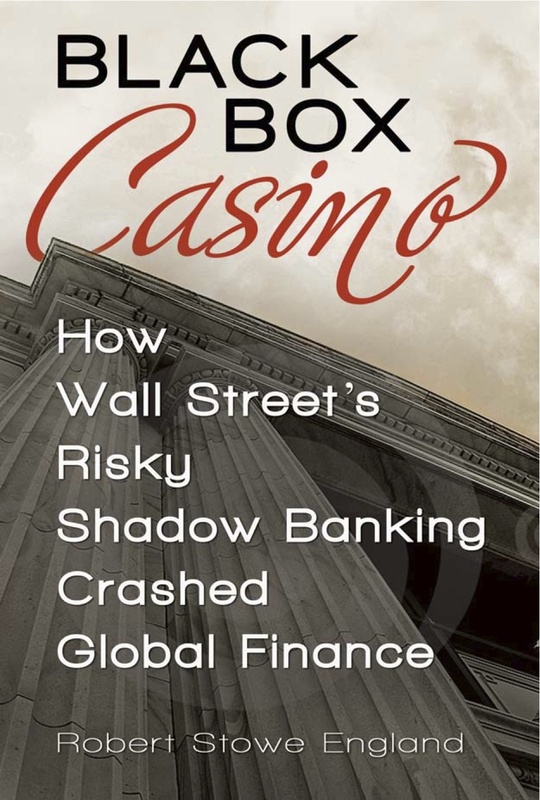 The book also examines the vulnerabilities of the investment banking business model and how it was further weakened in the years leading up to the crisis through decisions made by the Securities and Exchange Commission, which generated ever more incentives to arrange mortgage securitizations and retain some of the assets on the books of investment banks, as well as to raise leverage at these firms. These perverse incentives magnified vulnerabilities to the mortgage market at Bear Stearns, Lehman Brothers, Merrill Lynch, Morgan Stanley, and even Goldman Sachs. The book examines how the crisis was handled by regulators and officials and documents how they failed to fully grasp the full extent of the threat, despite mounting evidence of bad credits disbursed around the globe, as well as being concentrated in a number of large financial institutions. The book identifies a number of instances in the history of the crisis where opportunities existed where government and banking officials failed to chose a course, when given the opportunity, to take a direction that would have mitigated the severity of the crisis or which could have given authorities and regulators a better hand in dealing with it. The book also looks at the role of Congress in the crisis, including the passage of laws that created incentives for banks and investment banks to engage in riskier financial activity. Congress also failed to enact legislation where it was needed to make the financial system safer and sounder. There is also a glossary and an index. Robert Stowe England's newest work -- Black Box Casino -- will be published this fall by Praeger Publishers, a division of ABC-CLIO, Santa Barbara, California. The author sorts through a mountain of evidence and information and provides new information, analysis and insight into the crisis in order to tell Americans what they most long to hear: what went wrong and why. The degree of risk accumulating in Fannie and Freddie was concealed from the public, and the markets were not aware that there was $4.6 trillion in risky mortgage loans outstanding in the financial system -- of which 39 percent or $1.8 trillion of which were either Fannie and Freddie mortgages or securities they purchased and held on their balance sheets. It is too early to place orders for the book. Readers of this blog will be kept apprised of when they can order the book.